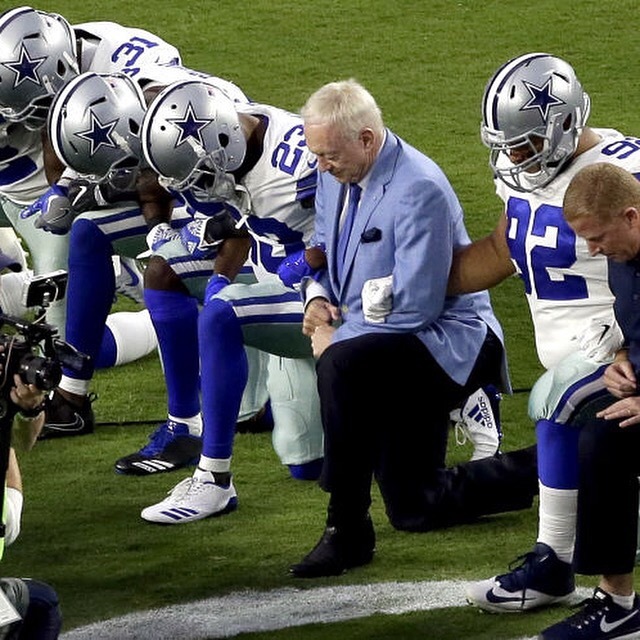 A poll conducted this week by the Seton Hall Sports Poll has found that 84% of American support the NFL players’ right to protest, with only 16% saying the players should be ordered to stand for the anthem or be dropped from the team if they refuse. To view the full release, visit here. This entry was posted in Uncategorized and tagged 360 Magazine, African American, catholic university, Colin kaepernick, contract, Dallas cowboys, Democrats, Diana Macaraeg, Donald Trump, equality, government, Houston Texans, inequality, justice, kneeling, New England Patriots, New Jersey, new york city, NFL, President Trump, protest, Republicans, San Francisco 49ers, seton hall sports poll, seton hall university, sports, Support, United States, Vaughn Lowery, white on September 29, 2017 by Pitch360.